Insign are specialists in the manufacture and installation of all types of signage, covering mainly retail and corporate clients throughout the UK. 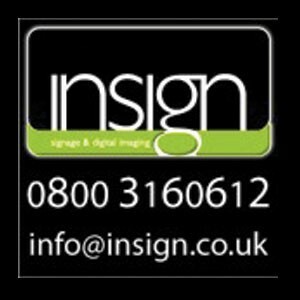 Insign have been offering clients a complete, high quality signage service since 1993. Our skilled craftsmen and in-house design team use the latest technology and manufacturing techniques alongside rigorous control and carefully managed installation. Based in Sheffield, we offer a nationwide service to a client list that spans retail, corporate, local authority and leisure & hospitality sectors. We’re experienced at following strict corporate guidelines or innovating entirely new signage systems. We understand the importance of working closely with clients to build relationships and achieve the best possible results.